There have been no important economic reports in the UK and the US to influence GBPUSD; however, this pair is under the influence of UK inflation report. 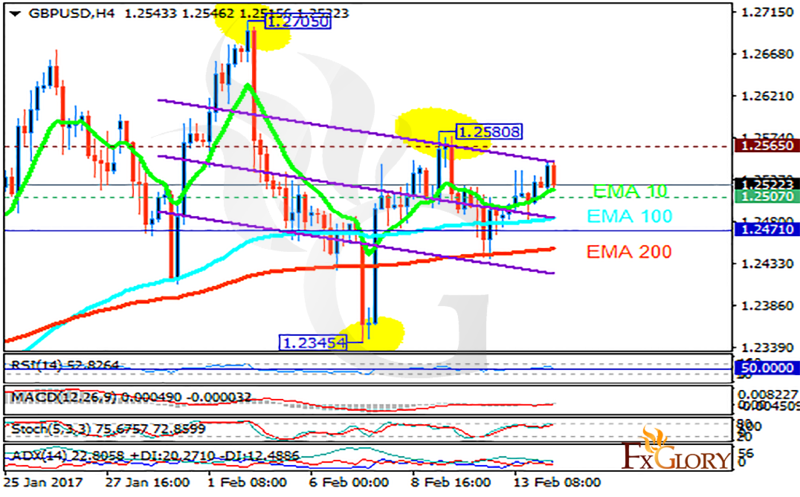 The support rests at 1.25070 with resistance at 1.25650 which both lines are above the weekly pivot point at 1.24710. The EMA of 10 is moving with bullish and it is above the EMA of 200 and the EMA of 100. The RSI is falling towards the 50 level, the Stochastic is moving in high ranges and the MACD indicator is in negative territory. The ADX is showing a weak buy signal. It seems that the bears are taking the control of the chart, therefore short positions are recommended targeting 1.2400.